I will be explaining the methodology of this yoga technique, called, Uddiyana Bandha, (Definition: Abdominal lock. 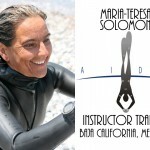 The second of the three interior body “locks” used in asana and pranayama practice to control the flow of energy),and several others, with Pranayama breath control exercises as part of the advanced courses and Instructor courses. 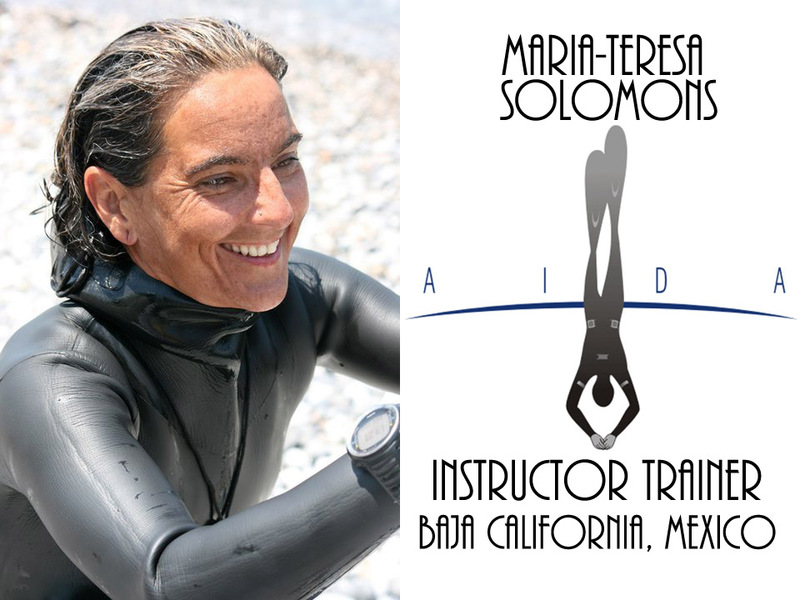 Maria Teresa Solomons, with years of freediving experience behind her will be running the 1st AIDA Instructor Course in Mexico. The Sea of Cortez where la Paz is situated, was acclaimed to be the Aquarium of the world by Jaques Cousteau, although as with many once were underwater paradises, it has become the seat of several NGO’s fighting to rescue and recover the natural beauty that it is. Espiritu Santo which is a Marine Protected Area is a natural reserve of astounding beauty still, with probably the greatest number of whale species in the world passing through, Whale Sharks are common to the waters here and it is the home of a huge sealiion colony on the northern most part of the island and many wild birds. During and after the course there will be opportunities to visit some of the best dive locations around the islands to explore the wrecks, reefs and swim with the seals and whale sharks- if we have reported sightings over those days. GUARANTEED FUN with PROFESSIONAL DEVELOPMENT! We have just finished our 2nd Instructors Course. Aharon was the instructor Trainer and Alina helped with all the photography and administration and translation plus her own perspective. The students were Manuel Gonzalez from Mexico known to his friends as Manolo, Eden Detooker and Yuval Ohev. Manolo had been coached by Aharon in Mexico to take all the Mexican National Records, he has a superb style in No Fins and is a leading competitor in that discipline. Eden had also previously been training with Aharon as well. Yuval had previously trained with Alon and had achieved 65mts in FIM. As expected none of them had any difficulties with the 40 mt bi-fins dive, Manolo was the only one that had no difficulty with the repetitive 25 mt dive. This was new in the instructors course it requires a diver to descend to 25mts on surfacing he gets 1 min recovery then holds 1:15 static then 1 min recovery and dives to 25mts, he repeats this all together 3 times without additional rest. Eventually all succeded. The 4 mins static everyone succeeded on their first attempt. Yuval struggled a bit ,not having done any static in a long time. 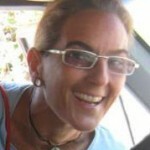 The course was in English which was nobody’s first language and this presented some difficulties, particularly for Eden.